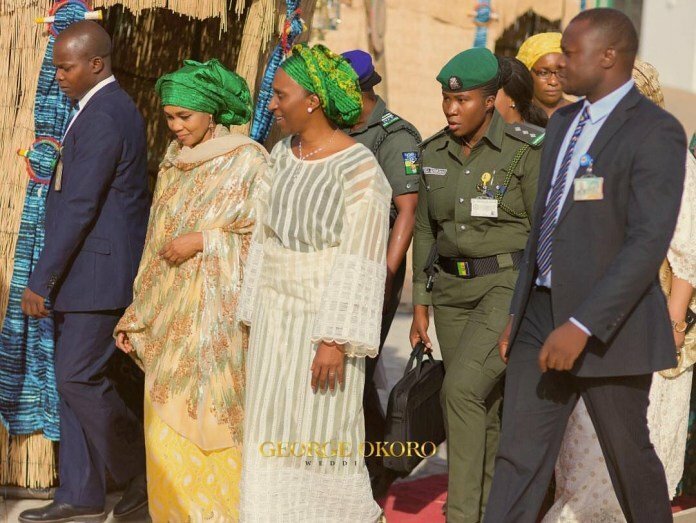 Typically in Nigeria, when the children of two politicians come together in matrimony, what comes to our minds is “arrangement”! 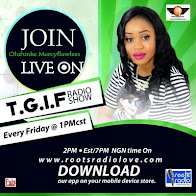 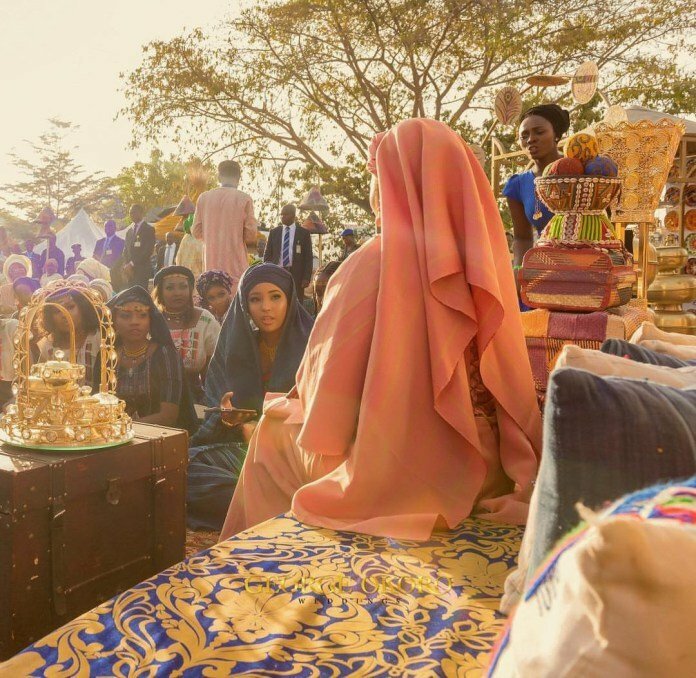 We are quick to picture two father’s holding pen to paper and signing off their children in marriage to solidify their friendship or strengthen a business relationship. 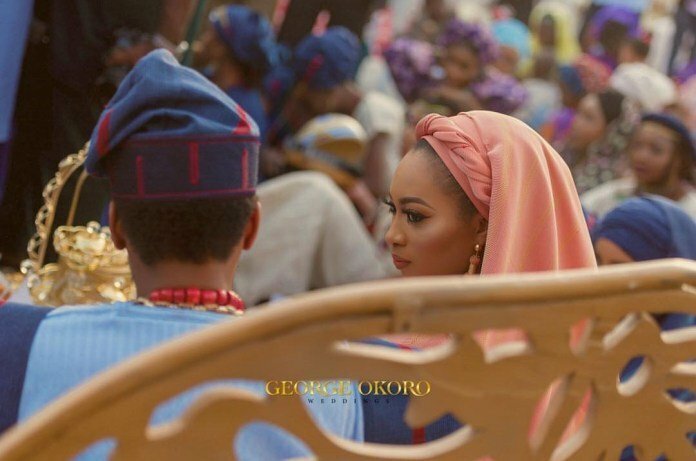 Immediately the marriage between the son of Oyo state governor Ajimobi and the daughter of Kano state governor Ganduje was announced, we saw another arranged marriage, we even wondered by the rich keeps marrying the rich. 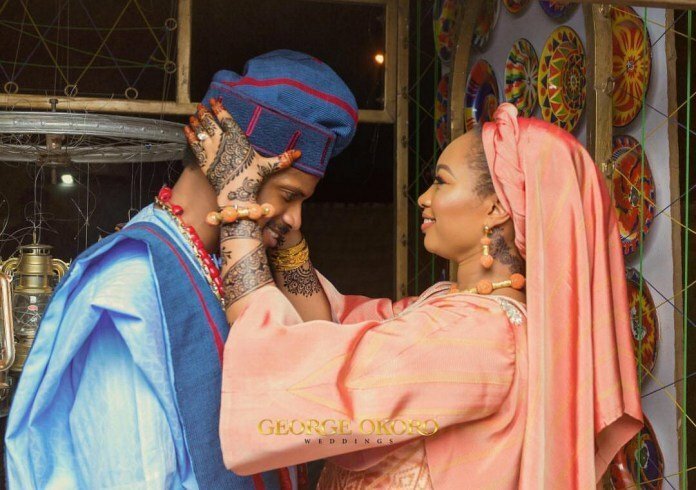 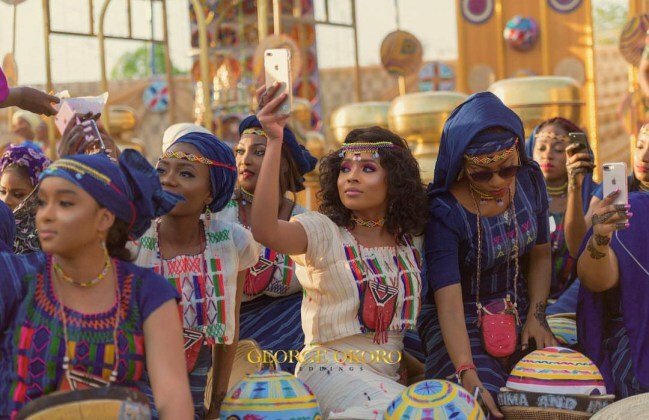 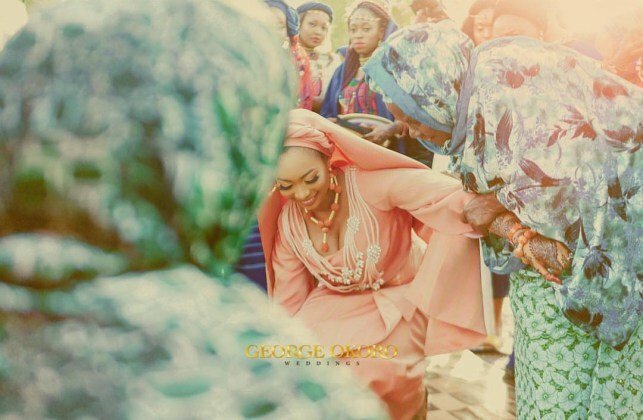 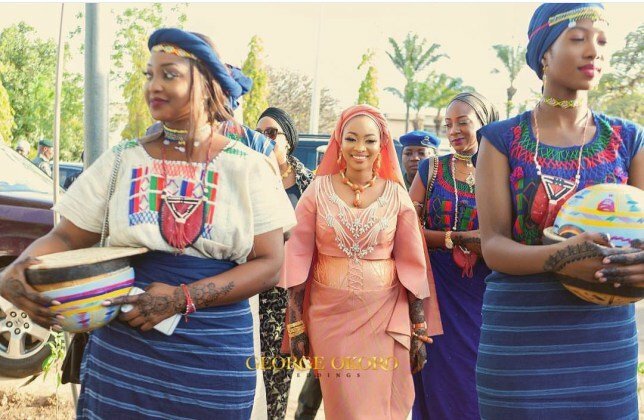 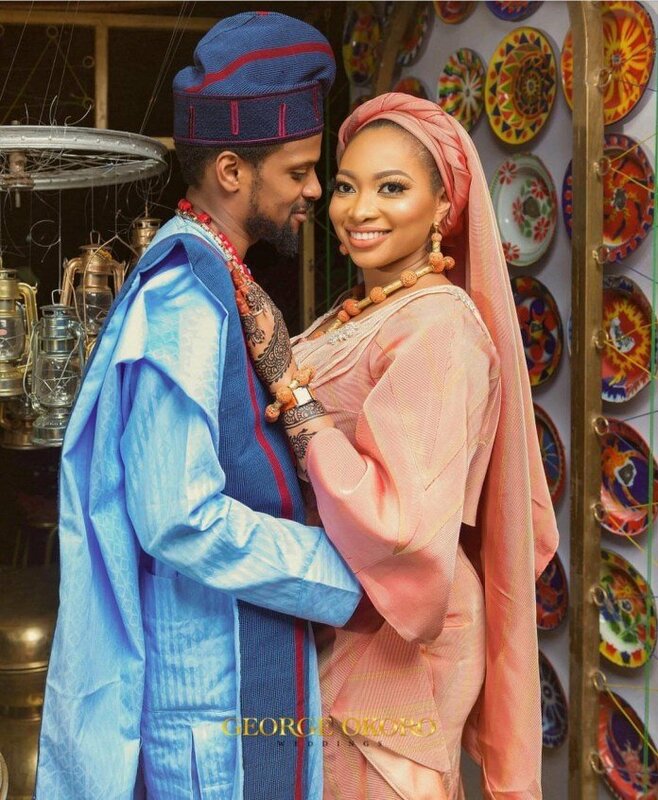 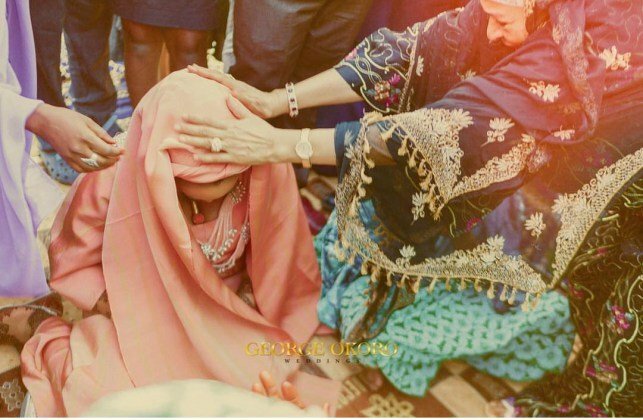 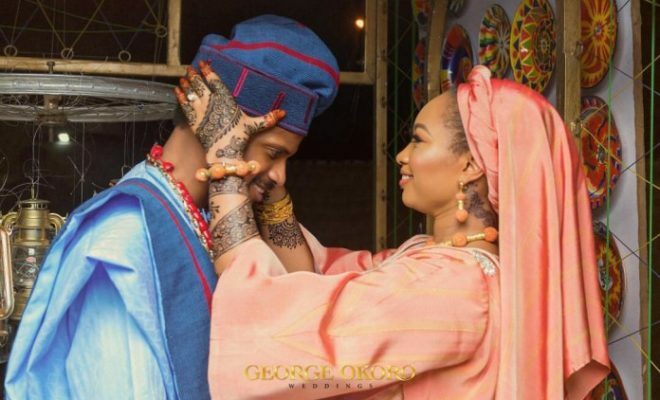 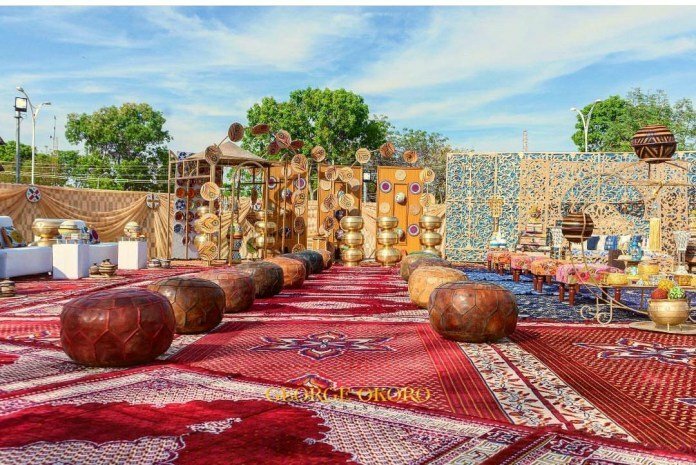 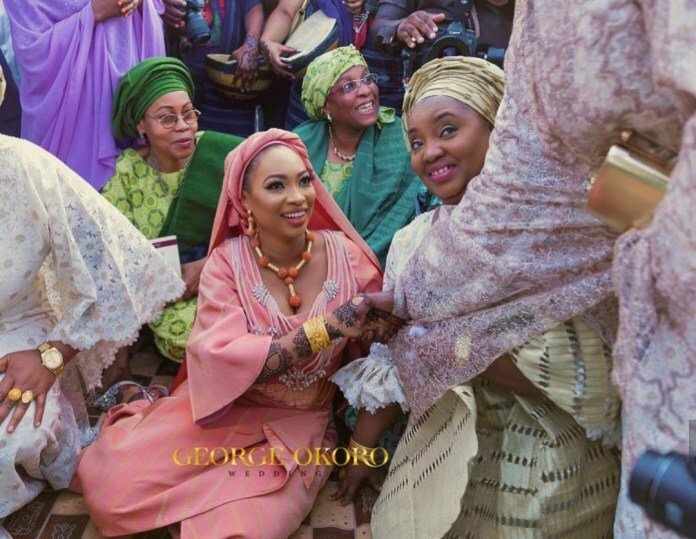 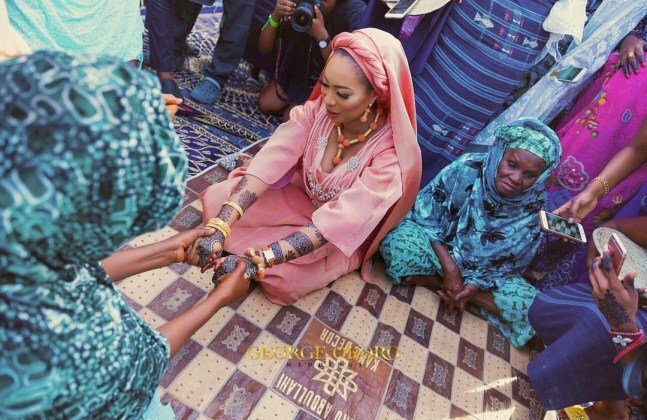 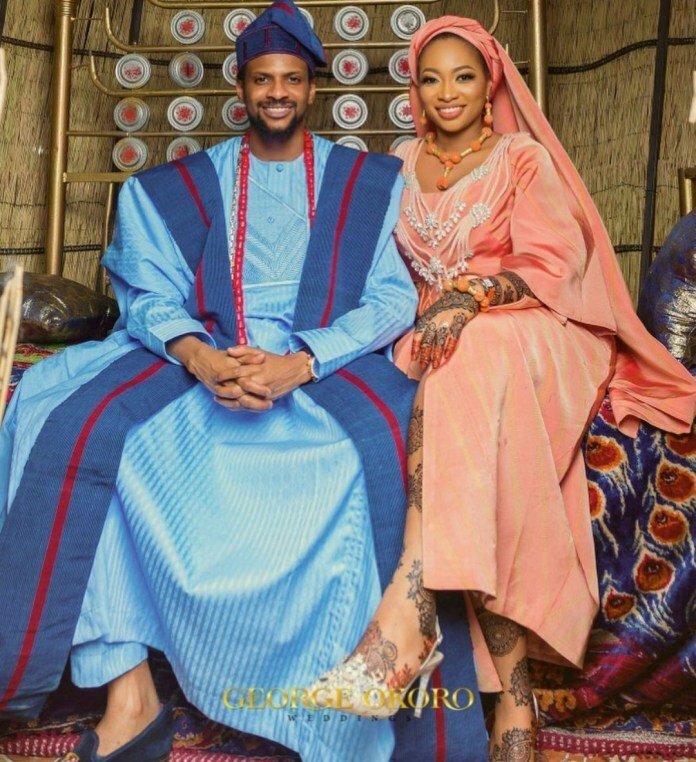 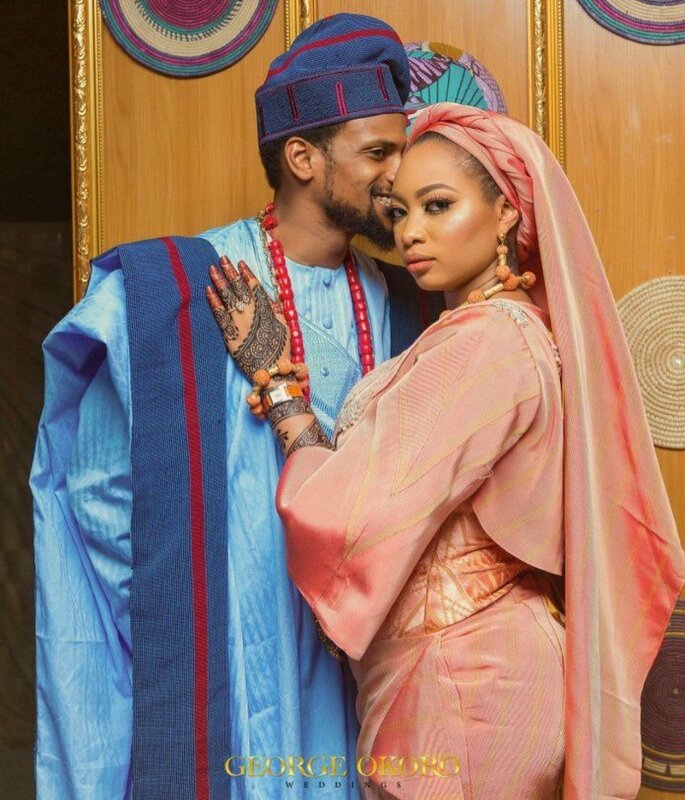 However, judging by the wedding photos of the Fulani princess Fatima Ganduje and the Yoruba Prince Idris Anunobi, it seems love played a vital part in this union. 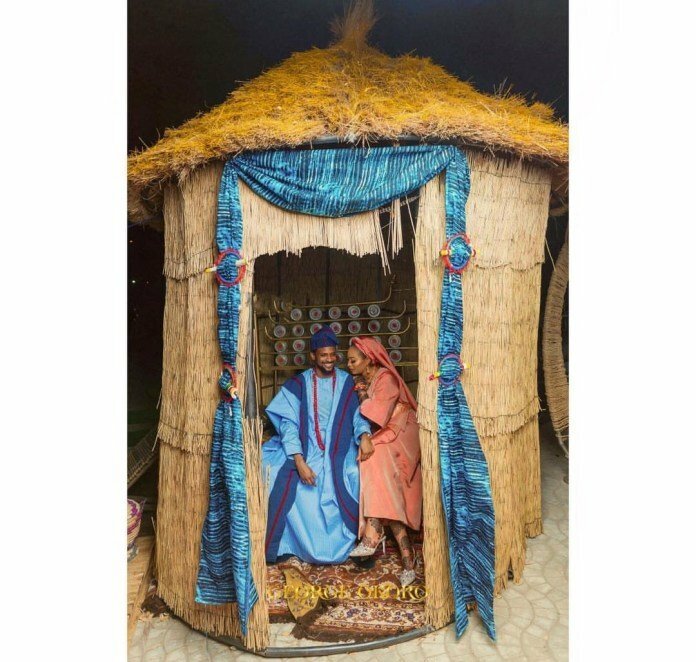 The couple could barely take eyes and hands off each other and they have been criticized for openly displaying affection. 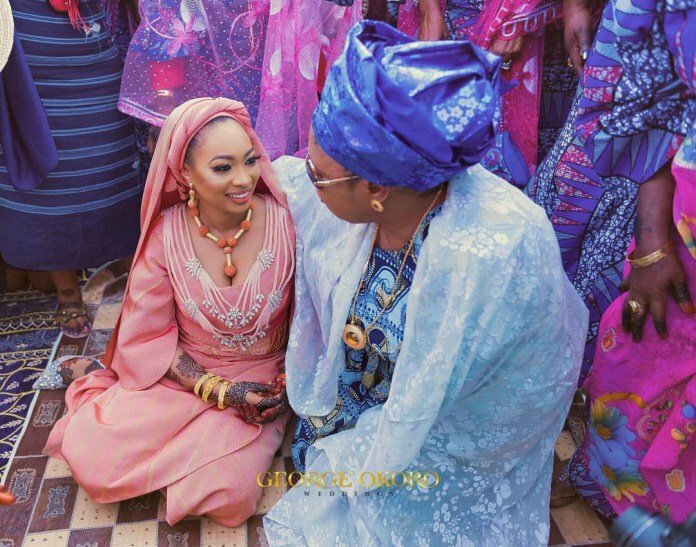 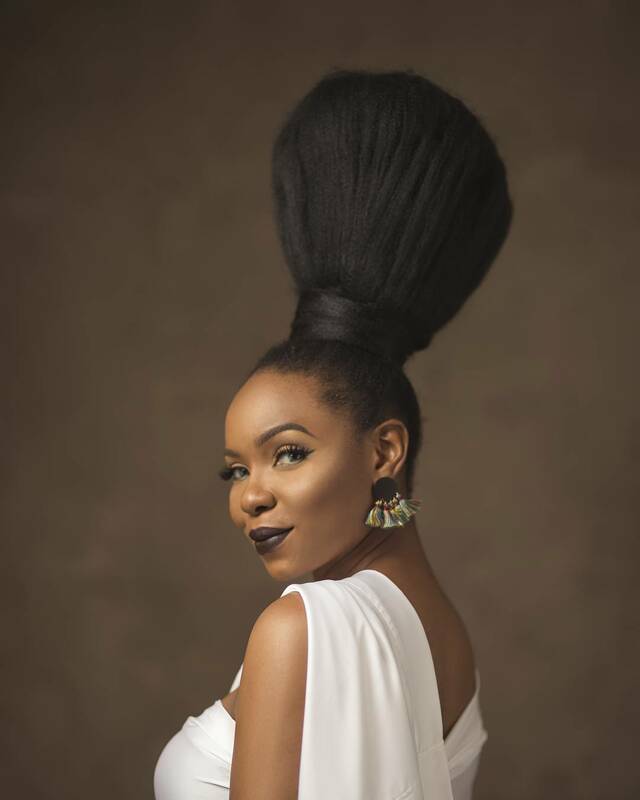 From the look of things love can happen even in high places, their fathers might have sealed the deal, but these ones also appended their signatures. 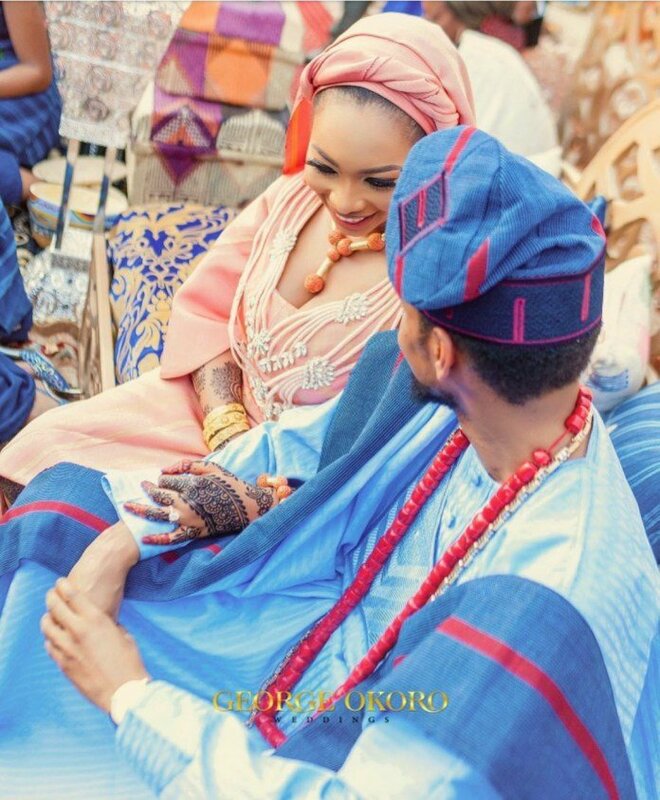 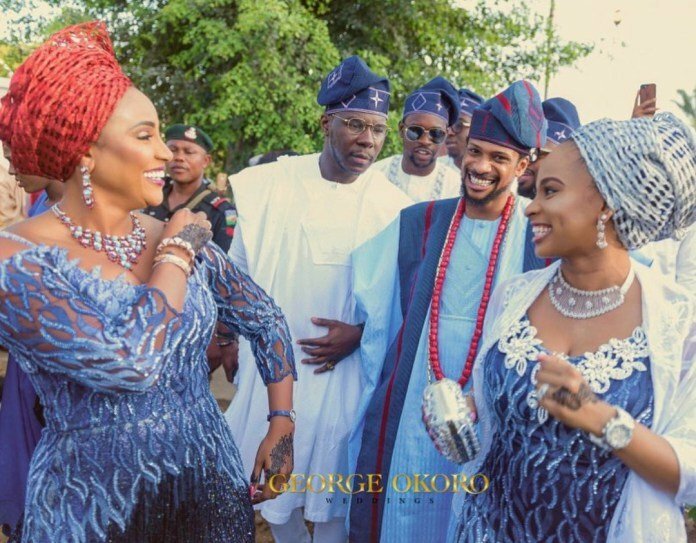 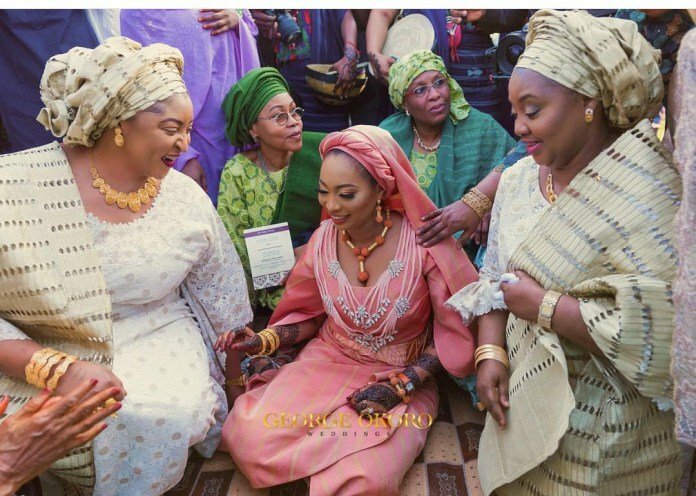 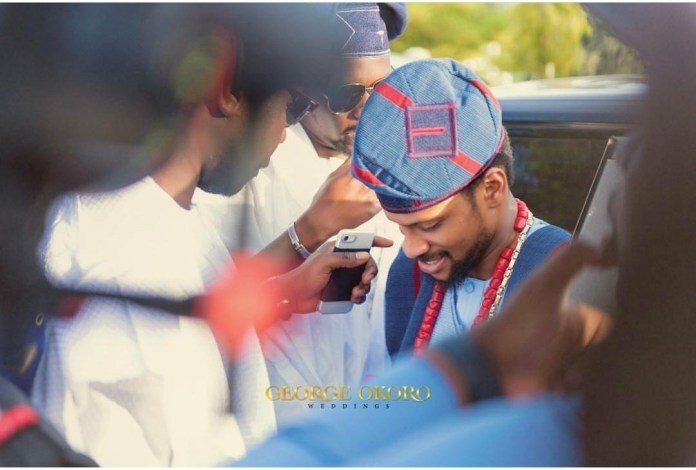 See more exclusive photos from the traditional wedding.